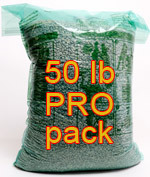 Arrived early September, new crop in Grain-Pro bags. This coffee comes from the Karugiro Washing Station (regionally called a factory) in Murang'a county. The factory is run by the Kamacharia Farmers Cooperative Society, which was founded in 1993 after the dissolution of two other co-ops in the area. The washing station has 920 active members, about 20% of which are women, who bring coffee cherry from small farms to the wetmill for processing. This coffee is fully washed, meaning the outer skin and pulp are completely removed during the washing and depulping process with water sourced from the Rundu River. After pulping, the coffee is fermented in tanks overnight, then soaked again before finally being dried on raised beds. The beans are stirred three times a day to ensure even drying, and the process takes between 5 and 30 days, depending on the seasonal weather patterns. Small farms also grow banana and maize, and grevillea and macadamia trees are planted to provide shade to coffee trees. There are several varietals in this lot, notably SL28, Ruiru 11 and a little Batian, all hybrids noted for either their drought or disease resistance. They grow in deep, well drained red volcanic soil about 1750 meters above sea level. The long term goal for both the factory and the cooperative is to increase coffee production - they offer farmer training, Good Agricultural Practice seminars and the most current materials on sustainable farming. Members also have access to funds from the previous year's harvest, which can be used for pre-financing school fees, farm equipment, and emergency needs. The factory offers credit and cash advances to farmers as incentives as well. They are currently partnered with Coffee Management Services (CMS), which provides farm management services and marketing. There are 5 permanent employees of the coffee mill; they regularly attend seminars and educational tours of other cooperatives and institutions. Cup Characteristics: Layers of flavor. A classic, unctuous, chewy cup. Roasting Notes: Kenya can be roasted successfully to various roast levels due to the bean density and high elevations where grown. Light roasting, midway between 1st and 2nd crack will produce a more acidic, delicate and flavorful cup; taken to 2nd crack the body becomes considerably more emphasized and the acidity plays a lesser role. But Kenyan coffee can also be roasted beyond 2nd crack to dark roasted, caramelized levels because there is considerable inherent natural sugar, acidity and bean hardness.